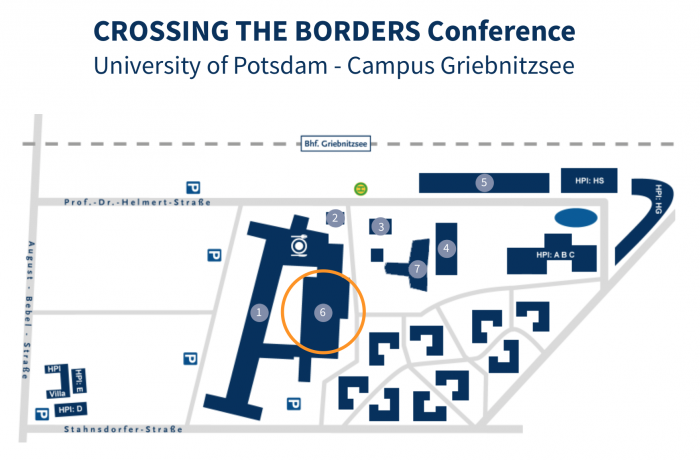 CROSSING THE BORDERS will be held in building 6 on Campus Griebnitzsee (see campus map). 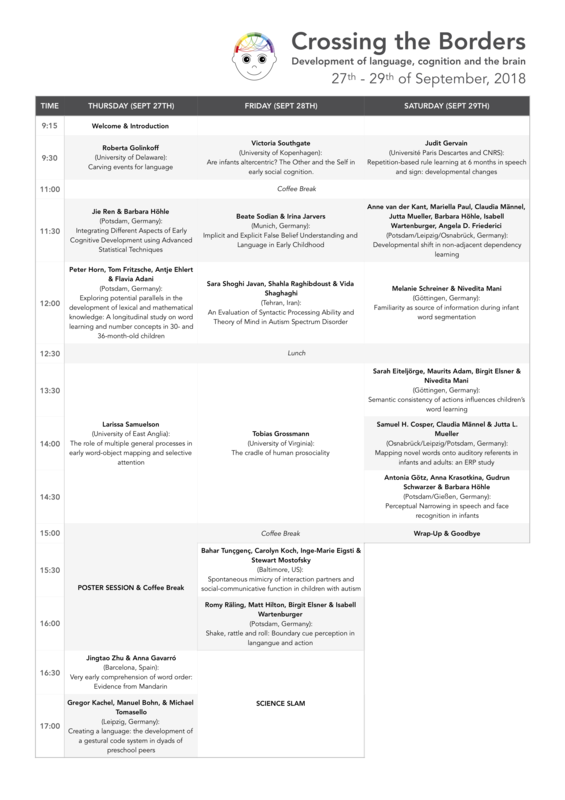 Keynotes and paper/oral presentations will take place in building 6, room H02. Poster presentations will take place in the foyer area of building 6 (which will be signposted). You will find the registration desk aso located in the foyer area. Use #CTBConference to refer to conference-related tweets. In addition to the formal conference programme, we have organised a conference dinner for an enjoyable social evening with everyone in the restaurant ZWEIHUNDERTEINS right next door (Rudolf-Breitscheid-Straße 201, 14482 Potsdam). The dinner will be held on Thursday, September 27th at 7 pm and is not included in the catering fee. Do young children have a Theory of Mind, and how does it develop? Do children, adolescents and adults with autism-spectrum-condition visually anticipate other’s actions as goal-directed after frequent observation? Does cross-language similarity affect how bilinguals represent words? Kiki vs. Bouba – A stable sound-symbolic effect in young children?